Earth Watch Club is regarded as one of the most active societies at campus. This society is built on egocentrism and has overtly pushed for the green agenda. EWC has tried to raise environmental awareness through various campaigns working alongside international organizations such as WWF. The Earth Watch Club is back with another campaign called Green Forman Campaign. 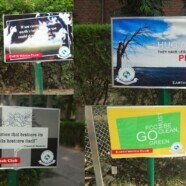 With this campaign EWC hopes to instill eco-affection in the minds of people. The campaign is split into Trash Free Forman and Smoking Free Forman. Trash Free Forman has been initiated since the past week and it pleases us to announce that it has been receiving a strong response. The goal here is to promote the use of proper disposal units and clean litter from the grounds. 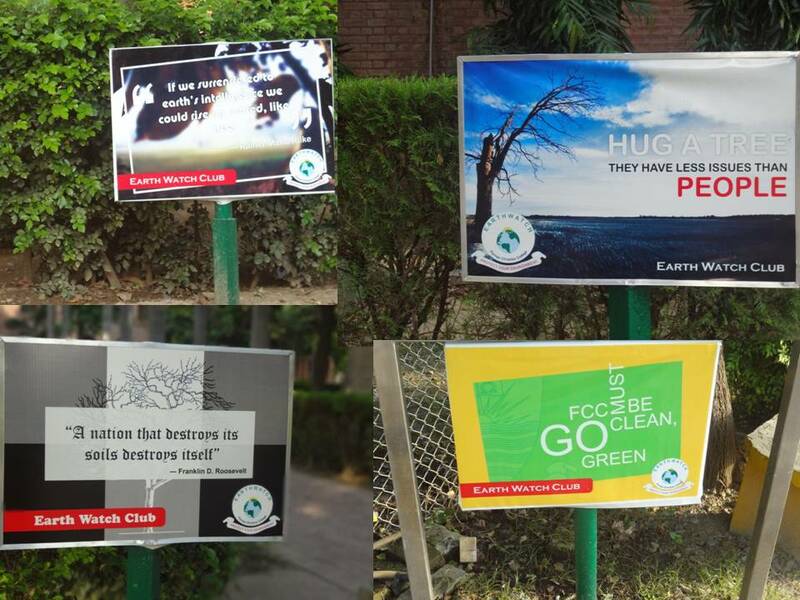 As a part of the campaign structure, strong public service messages have been posted at different locations at the campus namely P-Block, Zahoor Elahi entrance and A Block. In order to make efficient use of paper and plastic, the campaign will also include placement of bins specifically for paper and plastic products which will be gathered on weekly basis and recycled. The idea of green bins has strong potential and will promote the trend of recycling in FCC. The other part of the campaign is Smoking Free Forman which will involve a series of documentaries, lectures and public service messages to drive home the idea that smoking not only damages the individual, but also the people around them.This leg of the campaign will explain the effects of harmful chain smoking, improper disposal of cigarette butts and toxic smoke. EWC will, in the long haul, arrange talks by senior doctors, physicians and health psychologists.